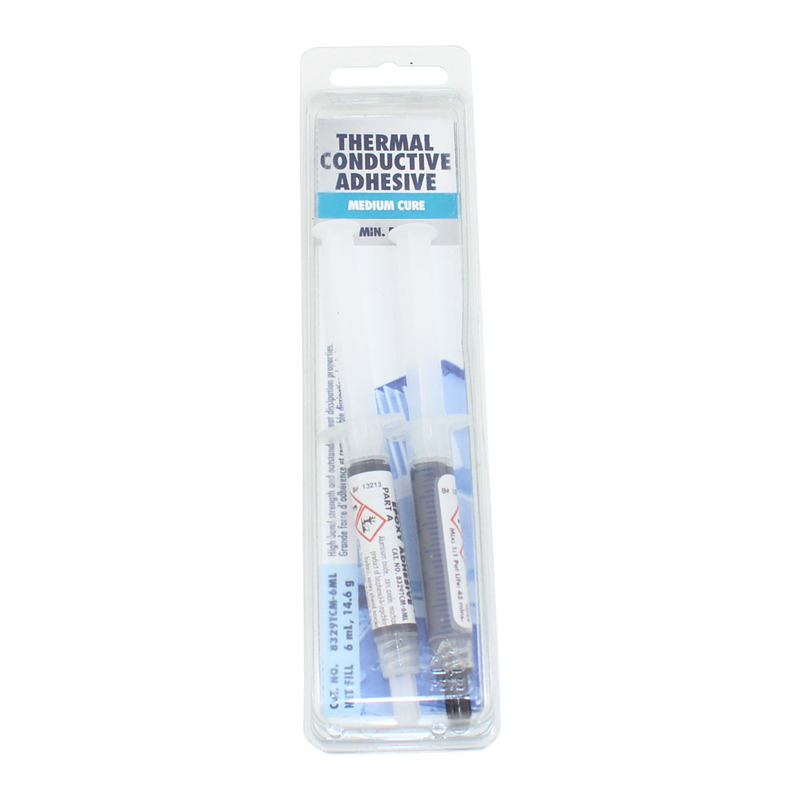 The 8329TCM Medium Cure Thermal Conductive Adhesive is an electronically insulating epoxy that combines moderate curing rate and high thermal conductivity. 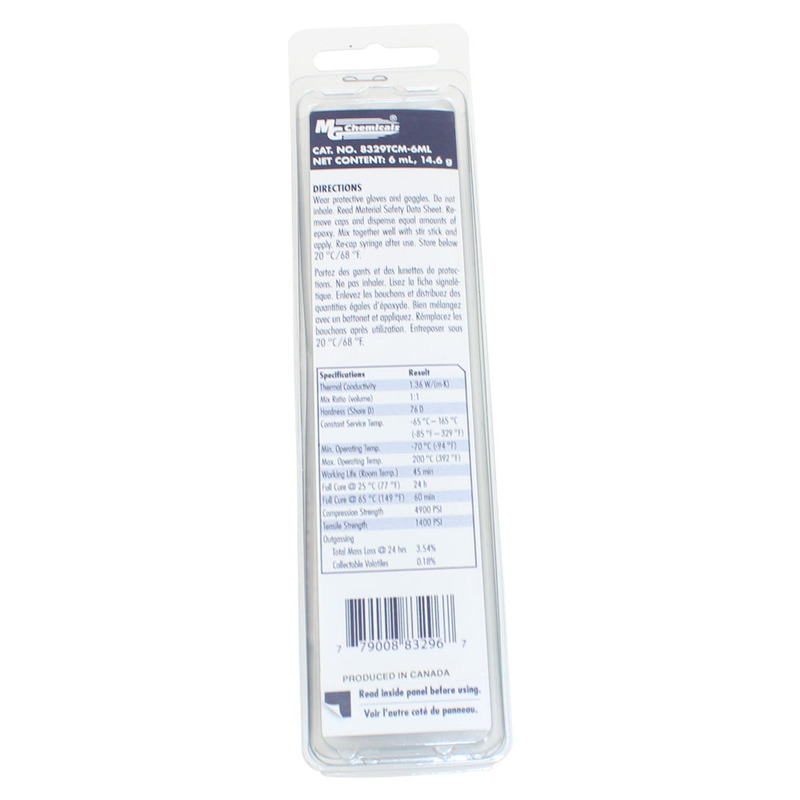 It has a convenient 1-to-1 ratio, a workable 45 minutes pot life, and a moderate curing rate. It may achieve a minimal service cure in seven hours at room temperature. 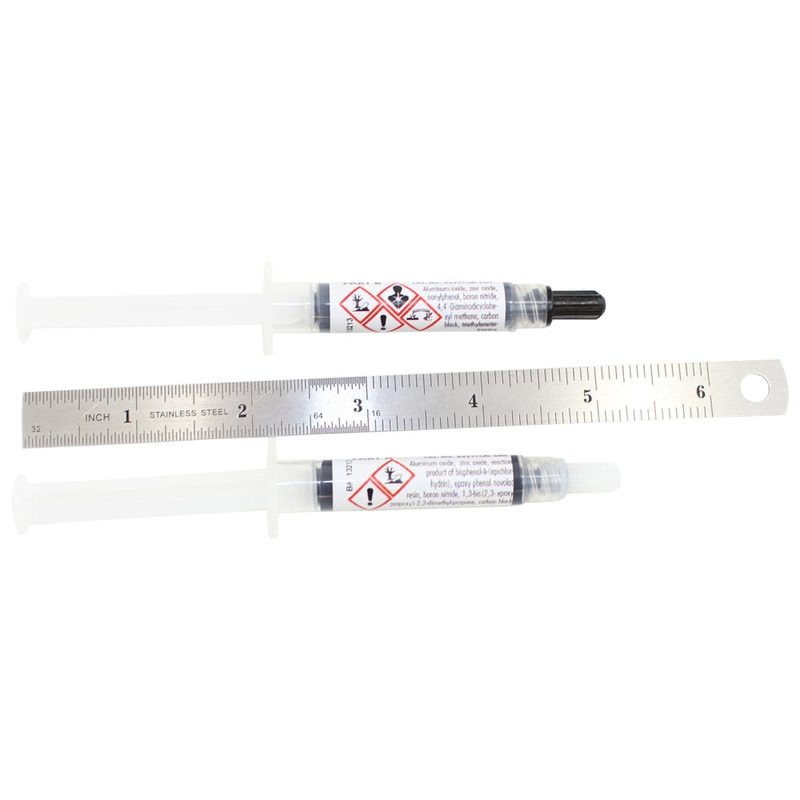 The cured adhesive bonds very well to most substrates used in electronic assemblies; and resists thermal and mechanical shocks. 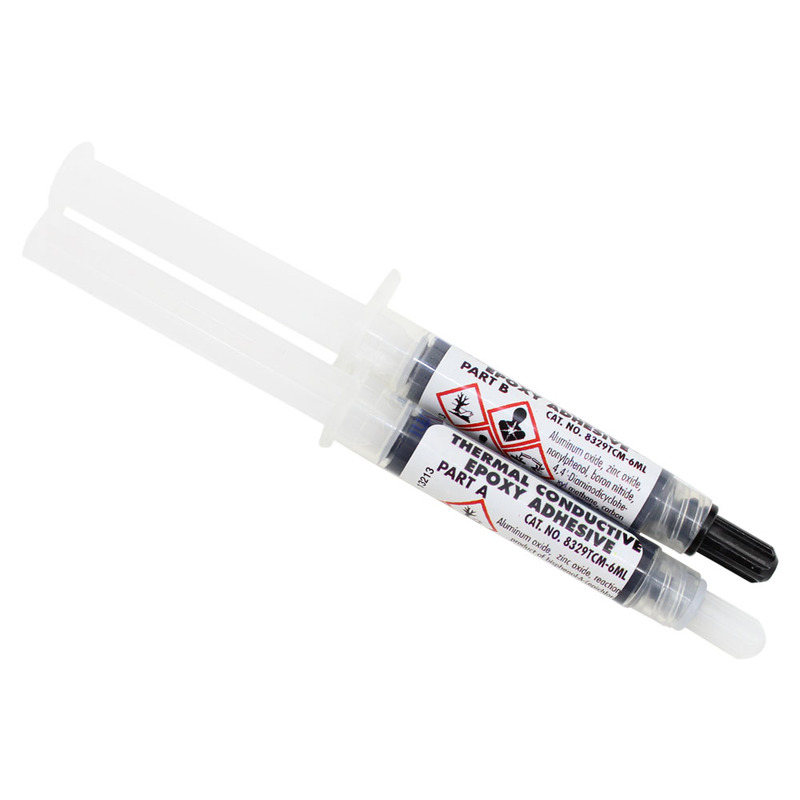 8329TCM is used for thermal management situations requiring superior bonding strengths and good thermal transfers. 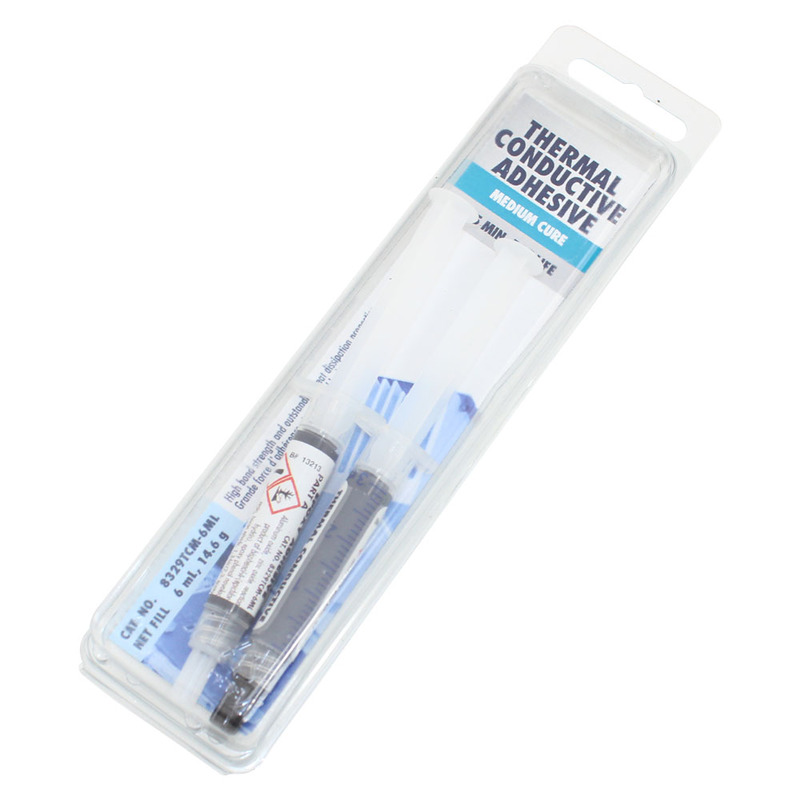 For example, it is used to as a die-attach for electrical and electronics, increasing their long term reliability. It is great for heat sink bonding. 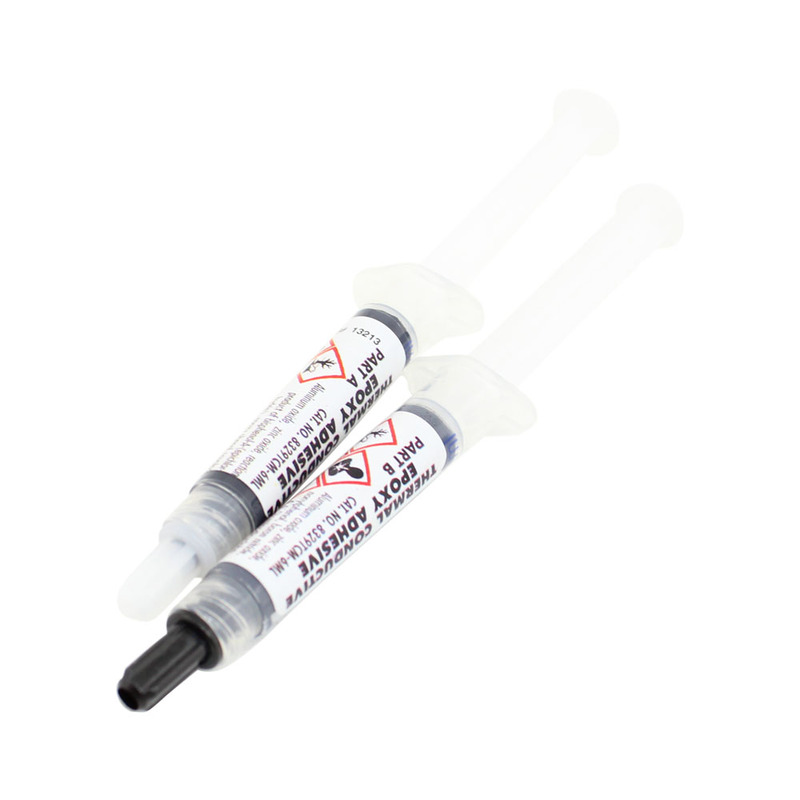 It is also used as a high-powered LED adhesive that maximizes the lifetime of LEDs by dissipating their heat.